In these times when more and more people are looking towards all natural and organic products to reduce their exposure to harmful chemicals and pesticides, how can you find new and safer ways to kill weeds around your home and garden without the use of those chemicals? Believe it or not there are far more options out there than you might think! In fact, as this trend in public opinion continues to rise, even commercial producers of lawn care products are putting out organic versions of many of their items to try and cater to this segment of the market. There are also simple all natural organic weed killers that you can whip up in your own kitchen, using basic ingredients that most of you are already likely to have for other reasons. We'll go through a few of them in this article. 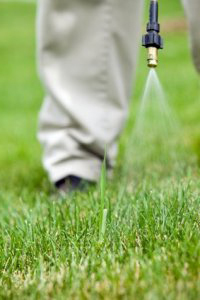 The first one you can use as a weed killer is also the cheapest and simplest one to use, and it's readily available to just about everyone! Boiling water makes a great weed killer…let me give you a moment to get passed the initial shock of that statement because I'm sure you are chuckling right now…but yes! Boiling water kills plants very effectively believe it or not. I have to admit I was a little shocked to discover this myself, and a little embarrassed that I didn't think of it myself, but true enough when I tried it, I wasn't surprised it worked exceedingly well. Imagine that, boiling water kills plants! Just make sure you use it only in places where you don't want anything to grow, because it will kill grass and other plants as well. Vinegars are another excellent organic weed killers, especially when mixed with a small amount of liquid soap. The ratio of soap to vinegar that you are looking for is about 1 ounce of soap for every gallon of vinegar. The secret behind vinegar's effectiveness is the acetic acid that it contains. Acetic acid works to draw out the moisture from the plant effectively drying it out and killing it. The soap acts as a sticky agent to help the vinegar cling to the plant itself. You can use basic 5% kitchen vinegar, but most garden centers will sell more potent varieties just for this use. If you take an old squirt bottle, making sure to clean it out well to get rid of any chemical residues, you can mix up your solution right in there and keep refilling it as needed. The best time to use the vinegar solution is on a dry sunny day when the temperature is hot. It will dry out the leaves like you would not believe. After the leaves have died off, it may require additional applications before you finally kill the roots of the weeds. You can also add salt to your vinegar solution if you like but be careful where you apply it. A lot of organic weed killers call for salt and while it does work extremely well, I've noticed some of them fail to mention that the salt will actually make the ground sterile if applied in too great of a quantity, making it unsuitable for growing anything else. A salt mixture of this type is best used for sidewalks, patios, and driveways, or any other place you can think of where you want no plant life to grow anyway. If you think you might want to plant an area in the future, avoid salting the ground! Another household item that most of you will have will make for an effective weed killer, but I will warn you in advance, these are certainly not organic weed killers, and that is bleach. Now before you get up in arms at the audacity of the suggestion, I'm not condoning that you run around your yard dumping pure bleach onto unsightly weeds. I'm merely suggesting a SMALL dose of bleach, mixed into a spray bottle with water and again a little soap, will also kill everything it touches. Just use it sparingly if you decide to go with this option because bleach is toxic. 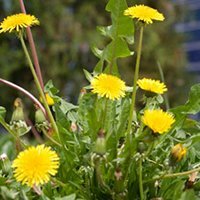 Rubbing alcohol is another substance that works well for drying out and killing unsightly weeds. This option is a little less obnoxious than using bleach, but there is a lot of debate in various circles as to whether or not rubbing alcohol is approved for organic use. 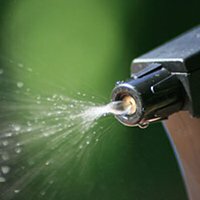 Even though isopropyl alcohol (rubbing alcohol) is in fact an organic compound, the best information I have been able to find is it only allowed for use as a disinfectant as it pertains to "certified organic" growing. For those of you who aren't growing for resale, you may not be as concerned about that. 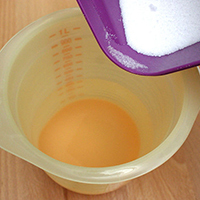 You will want to mix the rubbing alcohol with water at a ratio of about one tablespoon per cup of water. You can apply it using a spray bottle just like the vinegar or bleach mixture. Another unexpected ally in the battle against weeds is corn meal. Instead of applying after the fact like the previous suggestions, corn meal actually prevents weeds from germinating entirely, so it is a proactive approach to organic weed killers. In fact, it will prevent just about ANY seed from germinating so again, be careful where and how you apply it. What you are looking for is not the basic corn meal you buy from the grocery store, but rather corn gluten meal. This stuff is typically sold at most garden supply stores, but it can get pricey at the commercial level. 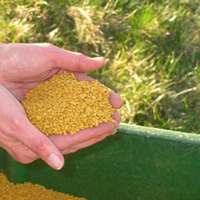 One tip you can employ, if you are fortunate enough to have access to an animal feed store, they should stock corn gluten meal and sell it to you much cheaper. Regular corn meal on the other hand will actually work well as a general fungicide.